KINGSTON—Among the items to be discussed at the next monthly Kingston Port Commission meeting will be the kind of financial arrangement the Port should make with Kitsap Transit for use of the Port’s passenger dock facility. Kitsap Transit needs the dock for its new fast ferry service to Seattle that is scheduled to begin this summer. The meeting is 1 p.m. Jan. 24 at Village Green Community Center, 26159 Dulay Rd NE. Among the Port’s options: leasing the facility to Kitsap Transit, entering into an inter-local agreement between the two public agencies for use of the facility, or transferring — the government term for “selling” — the facility to Kitsap Transit. “Facility” refers to the section of dock from the covered shelter to the passenger loading barge. The Port would retain its DNR lease on the water as well as ownership of the dock running from the land to the passenger shelter. “We always have to remember that the Port’s owners are the taxpayers in our Port District,” said Port Executive Director Jim Pivarnik. “So, we’ll be discussing the advantages and disadvantages of each option and its impact on our Port District taxpayers. We owe it to them to get them a fair return on their investment. “While it’s true that everyone in Kitsap County is helping pay for the fast ferry, the few here should not be supporting the many,” he said. He went on to point out that the kind of arrangement arrived at with Kitsap Transit could have implications for other Port leases. “I encourage the community’s comments on this issue with us and help us find the best way to assure the success of the ferry that’s also fair to the residents of our port district,” said Pivarnik. 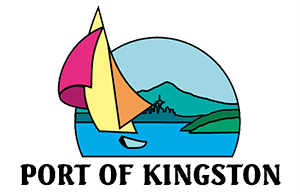 —Terryl Asla, Ph.D., is the communications coordinator for the Port of Kingston.